The Indian River Lagoon is a diverse ecosystem that stretches approximately 156 miles along the east central Florida coast. Terrestrial and marine ecosystems have distinct characteristics that determine whether they are suitable for an animal to live. In general terms, a habitat is the specific place in an environment where an organism lives. 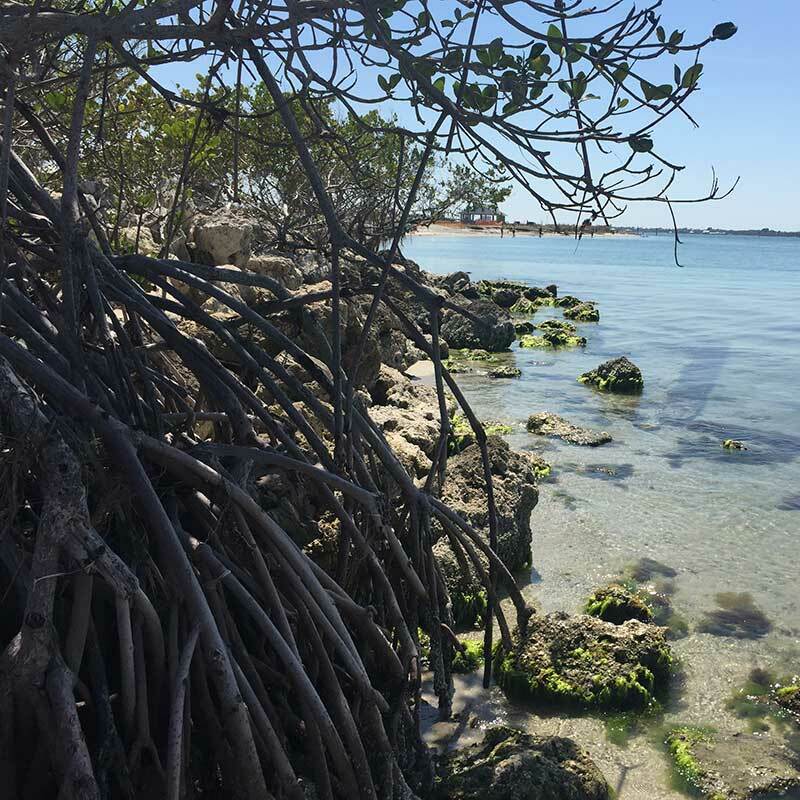 A close look at any area along the IRL reveals a number of different habitat types: coastal forests called hammocks, mangroves, saltmarshes, and submerged habitats like seagrasses. The Florida peninsula is bordered by 1181 miles of tidal coastline, second only to Alaska. Of this total, approximately 746 miles, primarily along Florida’s east coast, consists of sandy beaches where high-energy waves constantly break along the shoreline. Beaches are home to a medley of plants and animals. While some are too small to see, others like sea turtles, are iconic to Florida’s coastline. However, they are all part of the same delicate ecosystem and rely on the habitat as a source of food and shelter. Florida’s barrier islands have been extensively developed and support a large human population, leaving little of the original landscape unaltered. Florida’s beaches are rated among the finest in the U.S. and draw tourists from all over the globe; and as a result, tourism has become the premier industry in Florida, providing more than 845,000 jobs and generating billions in revenue each year. While development and tourism have been an economic boon to Florida, they have also brought associated problems that must be continually addressed. Learn more by visiting the Smithsonian Marine Station website. On virtually any barrier island, wind and sand combine to create sand dunes. Dunes play a vital role in protecting coastlines and property. They act as buffers against severe storms, protecting the lands beyond the dune from salt water intrusion, high wind and storm surges. Dunes also act as sand reservoirs, which are important for replenishing coastlines after tropical storms, hurricanes, intense wave action, or other erosional events. In spite of the stabilizing ability of dune plants, dunes are highly susceptible to human impacts. Vehicles traversing beaches, as well as heavy foot traffic, damage vegetation by shifting sand and roots, thus destabilizing the dune community. Coastal development can also impact the natural process of dune replenishment by adversely influencing natural erosion patterns. Stable backdune areas give rise to scrub communities built upon sandy or well drained soils, with the predominant vegetation being herbaceous shrubs, evergreen oaks, or pines. While coastal scrub communities are impacted more by the strong winds and flooding brought on during storm events, most types of scrub are maintained primarily by fires. Frequent fires are more beneficial to oak scrub and scrubby flatwoods communities; while less frequent fires are more beneficial to sand pine scrub and other pine-dominated scrub types. A number of animals are found in scrub habitats, including some of Florida’s most threatened and endangered species. Many other animals also utilize scrub areas for feeding and for shelter. Coastal scrub communities, commonly referred to as coastal strand, are vanishing ecosystems due to developmental pressures in the coastal zone. Most of the coastal habitats from Cape Canaveral in Brevard County, to Miami in Dade County have been highly fragmented due to development. In Brevard County alone, it has been estimated that the natural scrub community was diminished by 69% during the period between 1943 – 1991. Maritime hammocks, also known as maritime forests, tropical hammocks or coastal hammocks, are characterized as narrow bands of forest that develop almost exclusively on stabilized backdunes of barrier islands, inland of primary dunes and scrub. Florida, which has the longest coastline in the contiguous United States, has approximately 468,000 acres of barrier islands, with maritime forests occupying the highest, most stable areas of these islands. Because maritime forests occur on the most stable areas of barrier islands, they are attractive sites for development. In maritime forests, the canopy is typically closed, making these areas shady and cool compared to adjacent scrub, dune and beach areas. When developed, the process of land clearing involves disturbing or destroying most, if not all, the natural vegetative cover to make space for homes, parking areas, drainage fields, septic systems and roads. Following construction, native vegetation is often replaced by lawns and ornamental shrubs, many of which are exotic. Mangrove forests are among the world’s most highly productive ecosystems. The term mangrove is loosely used to describe a wide variety of often unrelated tropical and subtropical trees and shrubs that share common characteristics. Mangroves perform a vital ecological role providing habitat for hundreds of different species including fish, reptiles, mammals and birds that all utilize mangroves as habitat during some period of life. Additionally, many species, though not permanent mangrove inhabitants, make use of mangrove areas for foraging, roosting, breeding, and other activities. In addition to providing vital nursery and feeding habitat to fishes, mangroves also assist in shoreline protection and stabilization. Florida’s mangroves and salt marshes have historically been problem areas in one important respect: they are preferred breeding habitat for saltmarsh mosquitoes, an important nuisance species affecting both human and animal health. Mosquito control impoundments are areas of saltmarsh or mangrove forest that have been diked to allow control of water levels. Within the dikes, perimeter ditches are flooded artificially in order to control mosquito breeding and reproduction without the use of pesticides. Saltmarsh mosquitoes only lay eggs in moist, but not wet soils. Keeping water levels high in impoundments during mosquito breeding season interrupts their lifecycles and keeps their numbers down to manageable levels. The use of impoundments for mosquito control replaced extensively spraying pesticides like DDT that was common in earlier decades. Although impoundment is an effective method for controlling mosquito populations, there can be severe environmental impacts on impounded wetlands isolated from adjacent estuaries. 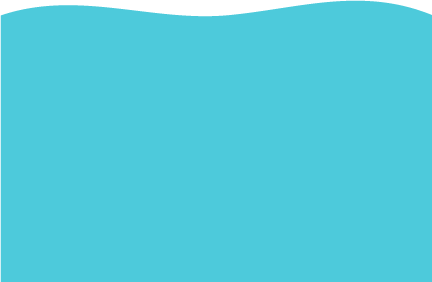 Particularly important are issues of water quality degradation, isolation of important fishery species from critical nursery habitats, interruption of nutrient flow between wetlands and estuarine waters, creation of unnaturally high water levels, and hypersaline conditions that may develop in closed impoundments when evaporation of water occurs. Advances in mosquito control have resulted in many impoundments being rotationally managed. Impoundments of this type are connected to the lagoon during the fall and winter months, and have natural flow regimes. During the late spring and summer months, they are flooded to control mosquitoes. Salt marshes form in sheltered coastal areas where sediments accumulate and allow the growth of a variety of plants that comprise the foundation of the ecosystem. Salt marshes are biologically diverse communities adapted for harsh environmental conditions that include desiccation, flooding, and extreme temperature and salinity fluctuations. Marshes act as nurseries to a wide variety of organisms, some of which are notably threatened, or important fisheries species. Rapid growth of marsh vegetation and utilization of incoming nutrients make salt marshes highly productive systems, on par with tropical rainforests in terms of their productivity. In addition to providing habitat and food sources for many organisms, salt marshes benefit humans and surrounding ecosystems by sheltering coasts from erosion and flooding. They also act as filters for stormwater runoff, trapping sediments and utilizing nutrients in stormwater that flows across them. Tidal flats are highly productive components of ecosystems and are responsible for recycling organic matter and nutrients from both land and ocean sources. They provide enormous water carrying capacity, helping to protect areas of the IRL from storm surge as well as stormwater runoff. Tidal flats also help to reduce erosion, dissipate wave energy, and reduce the impacts of storms by forming a buffer zone between deeper channels of the lagoon and the shoreline. In combination with mangroves and saltmarshes, these intertidal habitats are of great importance to large numbers of invertebrates and fish because they support a complex estuarine food web and provide resting and feeding areas to large numbers of indigenous and migratory birds. Water and sediment quality characteristics are important factors in maintaining healthy lagoon habitats. Tidal flats face a number of human and natural threats including sea level rise, loss of habitat, salinity fluctuations, pollution, erosion and invasive species. Ever-increasing growth of the human population and development along Florida’s coastline, coupled with alterations caused by mosquito impoundments, have led to changes and degradation in Florida’s wetland and coastal areas. It is estimated that since the 1950’s, 75% of the mangrove forests and salt marshes bordering the Indian River Lagoon have been destroyed, altered or functionally isolated. In more recent years, the importance of coastal wetlands has been recognized and much work has been devoted to reconnecting wetlands to the lagoon in order to restore natural water flow and function. Oyster reefs, often referred to as oyster bars, are common submerged habitats in the southern United States. Within the Indian River Lagoon, oyster reefs may be found in the vicinity of spoil islands and impounded areas. In addition to being commercially valuable, oyster reefs serve a number of important ecological roles in coastal systems: providing important habitat for a large number of species; improving water quality by filtering particulates out of the water; stabilizing bottom areas to prevent erosion, and influencing water circulation patterns within estuaries. Over-harvesting, as well as persistent diseases such as MSX and Dermo have taken a devastating toll on many oyster populations along the east and Gulf coasts. In recent years, oyster reef restoration has been a concern for resource managers all along the East Coast of the United States, but especially in areas like the lagoon where oyster harvesting has historically been commercially important. While fisheries throughout the lagoon have declined in recent years, there has been renewed interest in re-establishing oyster reefs, primarily due to the water quality benefits they convey when present in the ecosystem. Seagrasses are a type of submerged aquatic vegetation (SAV) that evolved from terrestrial plants and have become specialized to live in the marine environment. Physiologically, they are not very different from the grasses that grow on land and produce flowers and seeds. Within seagrass communities, a single acre of seagrass can produce over 10 tons of leaves per year. This vast biomass provides food, habitat, and nursery areas for a myriad of adult and juvenile vertebrates and invertebrates. Because seagrasses support such high biodiversity, and because of their sensitivity to changes in water quality, they have become recognized as important indicator species that reflect the overall health of coastal ecosystems. When seagrasses do well, other animals and plants also do well; when seagrasses decline, other species follow. Seagrasses are subject to a number of biotic and abiotic stresses such as storms, excessive grazing by herbivores, disease, and anthropogenic threats due to point and non-point sources of pollution, decreasing water clarity, excessive nutrients in runoff, sedimentation and prop scarring. What effect these stresses have on seagrasses is dependent on both the nature and severity of the particular environmental challenge. Habitats don’t just disappear but instead are nibbled away acre by acre. As the habitats die, so do the resources they provide. Why Care About Sea Level Rise? Much attention has been paid to the effects of rising sea level on coastal ecosystems throughout the world. From 1900 until 1990, sea levels rose an average of 1.2 – 1.7 mm/yr. By the year 2000, this had become 3.2 mm/yr. ; and by 2016, 3.4 mm/yr. At the present time, seas are rising faster than they have at any time over the previous 6,000 years, and that figure is only expected to move higher. In the coming years, sea level rise will affect our coasts the hardest. Surrounded by the Atlantic Ocean and Gulf of Mexico and also inundated by waters from the Everglades, low-lying Florida is particularly prone to climate change and rising sea levels. Further, most of Florida sits on porous bedrock allowing for the infiltration of saltwater. Rising sea levels can also erode beaches, submerge estuaries and low-lying wetlands, enhance seacoast flooding and increase the salinity of estuaries. While it may take decades to centuries for some effects to be experienced, Florida is already experiencing coastal flooding issues during normal summer rainstorms and king tides, and increased flooding effects during hurricanes and tropical storms. Impounding of salt marshes and mangrove forests has likely been the most broad reaching and destructive disturbance in coastal Florida ecosystems. In the 1950s, impounding marshes became a preferred and more environmentally friendly way to control mosquitoes with significantly fewer pesticides. While many impoundments have been reconnected to the lagoon since the late 1980s, many are still closed systems that have no natural hydrology and only receive water from precipitation and runoff. In many impoundments, particularly during drought years, this has resulted in extremely salty (hypersaline) conditions that have killed vegetation and allow only a limited number of species to survive in the harsh environment. Land use changes from the growing population and urbanization in Florida and throughout the world have altered coastal ecosystems. In Florida, mangroves have been removed and both these areas and salt marshes have been filled with dredged material to create roads, residential communities and businesses. Habitat fragmentation has occurred from this development, fracturing animal communities and leaving ecosystems more vulnerable to other habitat disturbances. Fortunately, substantial mangroves and salt marshes lay within protected areas such as the Merritt Island National Wildlife Refuge and property managed by the Florida Department of Environmental Protection. Proper management provides conservation from further development and encourages restoration programs that work to increase habitat acreage. Accumulations of fine-grained, organic-rich clays and silt known as muck are introduced to coastal environments from terrestrial and industrial runoff. Muck generally settles into depressions in the sediment, and can reach up to 2 m deep in some areas of the IRL. Disturbance from boat traffic, wind and waves can suspend muck, creating particulates that cloud the water, reducing sunlight penetration and retarding plant and algal growth. In addition to the physical stresses caused by this sediment accumulation, muck carries large quantities of nutrients and toxic substances that can create health problems or death for a variety of aquatic organisms. Transported in the water column by currents, muck can settle in salt marshes and mangrove forests, possibly smothering young vegetation. Muck accrual in the IRL has been ongoing for the past 40 to 60 years; however, dredging projects in isolated areas of the lagoon, including the St. Sebastian River, Turkey Creek and Crane Creek, have successfully removed thousands of cubic meters of muck, along with harmful chemicals like pesticides that are incorporated into the sediment. Bioinvasions have become high profile issues affecting ecosystem dynamics in both aquatic and terrestrial environments. Because salt marshes and mangroves are unique mixtures of both habitats, invasive species from land and sea pose threats to biodiversity and ecosystem health. Closing portions of these habitats for mosquito impoundments has reduced the salinity, allowing the invasion of more oligohaline vegetation and animals. Furthermore, disturbed or barren areas will often be colonized by invasives before native plants can become established. Efforts are ongoing to remove invasive plants from terrestrial areas, but aquatic invasions of fishes and invertebrates are often difficult or impossible to reverse, and can only be managed to prevent further range expansion. Salt marshes, mangroves and other coastal ecosystems can usually recover quickly from natural disturbances such as fire and hurricanes. However, when disturbance events occur in close succession, they may have lasting effects on the ecosystems. Hurricanes produce storm surges, wind and waves that can impact mangroves and marshes in several ways. Upper marshes and mangrove swamps can experience an influx of seawater at a salinity to which vegetation is not accustomed, causing dieback of several plant species. Wind can strip trees and bushes of foliage and damage the trunk. In addition, lower elevations can experience extreme rates of sedimentation or erosion, which can wash away much of the vegetation, reducing habitat acreage. Regeneration of mangrove forests following substantial storm damage may take decades, and restored swamps may have altered biodiversity and plant zonation.